Cassie has moved into a suite in the Terminal Building at the Hudson Valley Regional Airport. 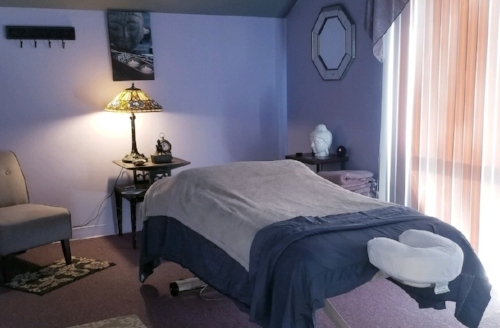 It is a surprisingly private and cozy space on the 2nd floor where you can escape your worldly stresses, rejuvenate and repair with Cassie's, Integrative Massage Therapy. My personal mission is to show that massage therapy done well can be more effective than medicine and not simply a relaxation tool. “The Placebo Effect” shows that the mind can and will heal the body when it believes in a treatment. We live in a world where stress is normal, but stress is why we become sick. The key to staying well is to balance that stress with self care. This includes eating well, exercise, yoga, meditation, and massage. Cassie’s mindful and experienced Integrative Massage sessions will address your physical and emotional stresses, releasing beneficial and healing chemicals to create the balance you need for healing. Cassie's suite is calm and quiet.